Do you love having holiday lights strung across your house, but you’re sick and tired of the hassle that is associated with that activity? 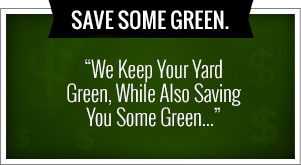 The experts at Green Leaf Lawn can help. Call us today at 918-640-6405 and schedule your Christmas lights and Tulsa Holiday Lights. We provide full service, exterior Christmas light installation and removal for commercial and residential properties. Our service is simple. You provide us with lights in the decorations and we hang and install them as your request exhalation point we set up and secure all of the yard decorations as well and can handle the lighting on your trees and shrubs. After Christmas we can return to remove them and walk you through the entire process that you don’t have to lift a finger during the holiday season. We have affordable rates and quality service which can all be found online at our website, www.greenleafweedcontrol.com. As Christmas draws closer, our team of professional decorators are busy getting ready for the festive holiday season. As a Green Leaf Lawn operator, we have had a busy summer when it comes to Christmas and Tulsa Holiday Lighting Installation. We always try and find the greatest products for you to use and the best way to hang the lights. Decorating your home for the holiday season is no easy task. For most homeowners it is very time-consuming and many people simply don’t have the time or physical ability to spend the weekend on ladders. Unpredictable weather conditions can also turn a tough job into a nightmare for homeowners. That’s why thousands of Green Leaf Lawn customers across the Tulsa area turn to us for help whenever it comes to decorating their home for the holidays. Our Christmas installation crews are professionally trained and use the utmost care when it comes to decorating your home. We will do the job without damaging moldings, roofing, or architectural elements. Call today and turn your home into a winter wonderland with some of the best service in the area when it comes to Tulsa Holiday Lights. You’re going to love the way your home looks and it will shine through the night in your neighborhood providing the Christmas cheer that will be spread around easily for all to see. We are a company that is run by two professionals in the Tulsa area, Jamie Nix and Josh Mathias. They have many years of experience between the two of them and they have devoted their lives to perfecting their craft and to servicing the people of Tulsa. We are more than just a lawn mowing service. Where a one-stop shop for all of your needs when it comes to your landscape and home. We do lawn service in the summer but we also have a variety of seasonal services that we implement as well throughout the year. So whether you need your gutters cleaned in the fall, your sidewalk shoveled in the winter, your lawn aerated in the spring, you need to your lawn to be mowed in the summer. We are experts in providing this care for the people that need the job done right. Are You Tired of Decorating Every Season? If you’re just plain tired of putting up those Tulsa Holiday Lights every year, it’s time to have an expert do it. Nobody wants to be on a ladder in the month of January removing the light installation when it’s 20° outside. When you finally had enough decorating the house for Christmas, whatever your reason may be, give us a call at 918-640-6405. We can help you enjoy the holidays again. We meet with you for a free consultation and listen to your ideas so we can get some suggestions of our own about how to make your home stand out in the neighborhood. We can even take a picture of your house and decorated so you can see a better idea of what it’s going to look like. It’s never been a better time to get your residential and commercial decorating needs taken care of. 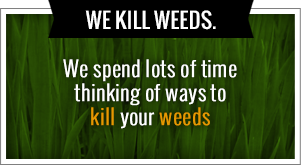 For more information on our company visit www.greenleafweedcontrol.com today. Green Leaf Lawn takes pride in their work and always tries to exceed your expectations. Lush and green, straight lines, and weed-free. That’s how we like our lawns to look and we’re sure you do too! We have several crews dedicated simply to the care of lawns: mowing, fertilizing, treating for insects and weeds, seeding, aerating and even installing new lawns. We take grass cutting very seriously. The quality of a cut can make or break the appearance of an otherwise beautiful house. The cutting height, direction of the stripes and disposal of clippings are all major factors that we consider with our lawns. Our trained experts determine the right strategy based on the specific conditions of your lawn and your desires and then integrate it with our lawn application program. A beautiful and balanced property are guaranteed when you use the experts at Green Leaf. Pruned trees allow sunlight to reach the grass underneath, removing dead trees and limbs keeps your indoor and outdoor living spaces hazard-free, and treated trees retain strong defenses against insects and diseases. We employ only the best and the brightest in the Tulsa, Oklahoma area when it comes to taking care of your lawn and your home. We never stopped working to make your property looking more beautiful year after year. So if you’re needing Tulsa Holiday Lighting Installation experts or simply someone to move the grass every week with a sense of pride, be sure and give us a call today or visit our website. We had arrived as being one of the greatest companies in the area when it comes to providing professional lawn care. Green Leaf Lawn has over 10 years of experience throughout the Tulsa area. We provide services that include mowing, holiday lighting, landscaping, weed killing, and much more. There’s just simply no other service in the area that can bring you the beautiful, rich lawn you’ve always wanted to see out there on your front steps.